I have sent the following letter to our State Senator in response to the limitations on Amateur Radio operations in SB74. 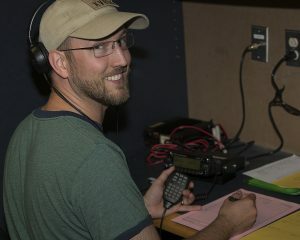 In reviewing SB74 as written (or at least as available to those of us outside the halls of government), https://legiscan.com/VA/text/SB74/2018, it is still not acceptable to restrict Amateur Radio operations as outlined in section B6, while not limiting Citizen’s Band (CB) operations, as listed in section B5. There are several challenges with this section. 2) while participating in emergency communications or drills on behalf of federal, state, or local authorities. The key problem here is in deciding what form of authorization is going to be required to prove we are participating. A disaster declaration? A calendar entry? Many of our drills and exercises are done without the direct knowledge of our supported agencies. What sort of proof would be needed to show we were participating in a drill on behalf of our agency? 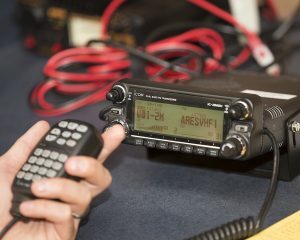 Would it fall the to the Amateur Radio community to provide proof that we were in fact involved in an exercise, and would it then be up to the judge to accept or reject that evidence? Because it is not well defined, that is an onerous burden to place on hobbyists, especially those of us like myself in leadership positions. Again, what constitutes such events? When is it deemed acceptable to be supporting them? I will use the Marine Corps Program Office events in Prince William County as an example. In the spring the MCM puts on the Crossroads 17.75. The race functionally runs from 0700 – 1100 on a Saturday morning. 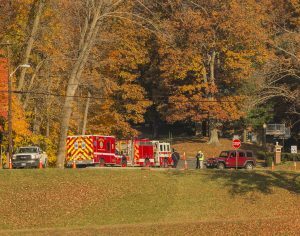 However, because of road closures and the need to circumnavigate the Prince William forest to get into position, we often are required to start operations as much as two hours before the event. 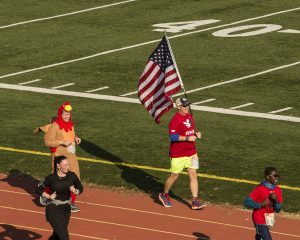 Frequently we will continue to support the event several hours after the runners have gone home as we aid in tear down and clean up. This is only one example; there are many more. In my years as Emergency Coordinator, I can cite numerous cases where we are out preparing to support an activity weeks in advance of that activity, so we are ready to assist. This includes site surveys, propagation studies, antenna position tests, etc. Would this be acceptable under this clause? What proof would be needed? What about after the fact testing? Who makes the decisions? 4) Process and Reporting. The above two sections, if enacted, would entail a new level of process and paperwork within the Amateur communities that does not exist today and would have to be modified with each judgment for or against our operators. Amateur Radio operators are hobbyists at the core of their being. 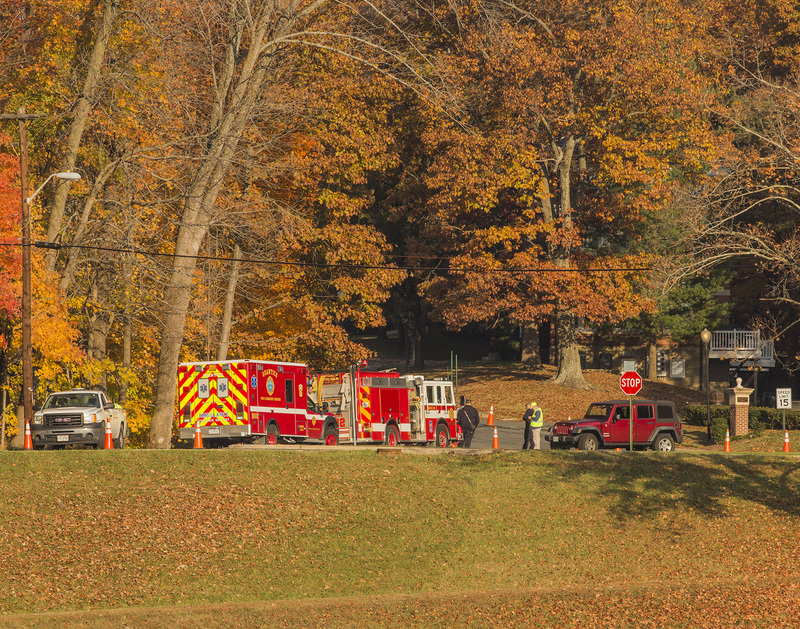 They are not career first-responders (although some may be). They give of their time to support the community, but it is not all they do. 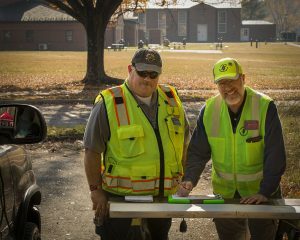 To have to ensure that the right pieces of paper are filed or verify that they can use their radios while in motion would place an unnecessary burden on them. 5) General communications. Most Amateur Radio operators do not have radios in their vehicles to be ready for a disaster. 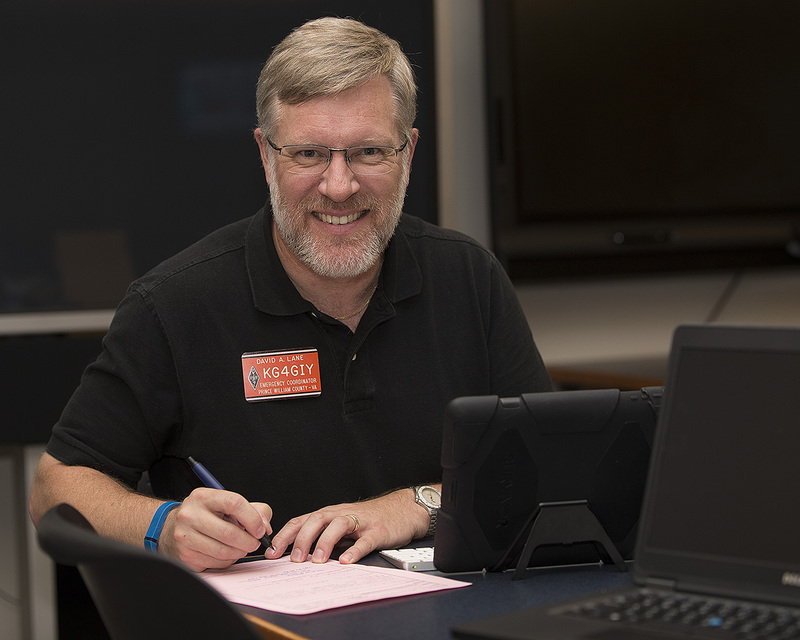 Only a small portion of the Amateur Radio community is involved in disaster preparation and response. Most operators have a radio in their vehicle merely to talk to other operators. While this may seem odd in this day of ubiquitous cell phones, there are numerous advantages, least of which is a roundtable discussion format that you cannot do with a cell phone (or at least without some type of conference feature). I have used my radio during times of cellular overload (which happens more than you might think) to get a report of traffic ahead of me (more efficient and safer than opening up an application and punching around to find your location). We discuss upcoming events, propagation, and other general topics — much like those who use CB — all within the bounds of our license restrictions for use of the public airwaves. In looking at this law, I have outlined the case against a specific set of restrictions for the use of Amateur Radio and highlighted many of the reasons why these restrictions, if implemented, would be detrimental to the use of Amateur Radio while also placing a burden on law enforcement to determine what radio was in use that instigated the traffic stop. I would encourage the adoption of the language I suggest for section B5 and drop the section B6 for the benefit of all. Here we go again, it is a new year, and that means new things to talk about. Let’s start with what the ARRL has in store. I forwarded an email from the League in late December that essentially said changes are coming to the ARES program in 2018. Details to follow. You now know as much as I do about what those changes are. But, I can make some guesses. First, I would guess that all ARES members are going to be required to take some Incident Command classes. Likely ICS 100 and 200. But since you are a member of PWCARES, and Prince William County already requires us to take not only 100 & 200, but also 700 (NIMS) and 800 (NRF), we are ahead of the game. Prince William County will also require some additional classes this year, and as they tell me what they are (and how we can get them), I will pass them on and include them in our required training regime. Speaking of training, this year, Prince William County will be having at least one, and possibly three training events. They will focus on Shelter activities, a national event based on a hurricane coming up the Chesapeake Bay, and a full county activation exercise. Again, once things are nailed down, I will pass on the details. 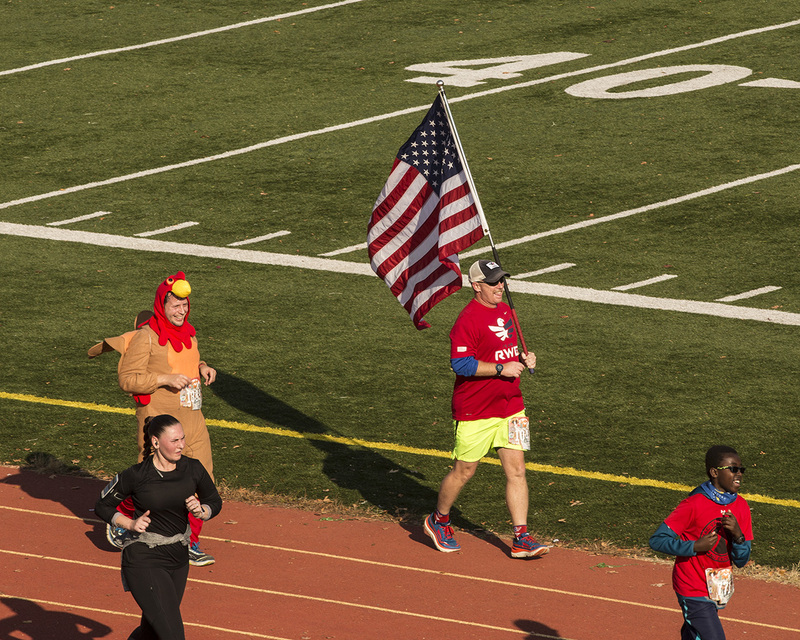 Also, our friends at the Marine Corps Marathon program office are excited with how we performed at the regular events we have supported in the past (Crossroads and Turkey Trot) plus how we stepped up at the Quantico 100 and especially the Triathlon. So excited in fact, that this year, they want us to support the Triathlon & 12K again (August 25), as well as the Run Amuck (June 23), along with the Crossroads (March 24) and Turkey Trot (November 17). The dates will be added to the calendar. There is no Quantico 100 scheduled for this year as it was a one-time thing. They have also asked for our help in the Historic Half marathon that happens in Fredericksburg. As it is outside the PWCARES area, I have politely declined, but the ARES team down there may need some help. Also, the Big Event, the Marathon, is on October 28 and all the help they can get is appreciated. Finally, what do you want to focus on this year? Some topics have been flying around the Slack channel, and they include APRS, Wire Antennas in EmComm, and HF operations for EmComm. Also, coming up in June, Field Day 2018! An opportunity for us to show our stuff. It has been a decade since our last field day. Maybe we can start a tradition! Our first meeting of the year is Saturday, January 20, 2018, at 0900 at the EOC. We will discuss the Action Plan (as we always do), review the new EOC layout, and hopefully get a chance to see the new WebEOC. I encouraged everyone to come out, meet your fellow ARES members, and contribute to this year’s event calendar. Looking out the window on this Labour Day, it is hard to believe that we are on the downhill run to the end of the year. Or that Houston is busy drying out after record setting rains (and photoshopped sharks swimming on the highway). And yet, as lovely as the weather is today, out in the Atlantic Ocean, a hurricane, named Irma, is churning away at Catagory 3. Depending on what set of computer models you are prone to follow, or whose newscast you favour, one thing is certain, there is a major risk of a hurricane striking the East Coast, and that hurricane could be category 3 or higher. We may be in the bullseye, we may get a glancing blow, we may get lucky and it misses us all together. However, now is the time to prepare. Let us pretend that Irma is going to strike the East Coast in such a way that it will come up the Chesapeake Bay and into downtown Washington. Are we ready for this? Are **you** ready for this? Let us review. Have you had any life changes that will affect the status of your personal documents? You know, the ones that you have on a CD, a USB, or something else off-site? Have you updated those document stores? Have you and your family reviewed your plan? Where you will meet? How you will communicate? When did you last refresh your food and water stores? When was the last time you checked the _best before_ date on those cans of SPAM you bought following September 11, 2001? What is the condition of your home? Roof in good shape? Sump pump operational? Siding? Is your insurance up to date? Got pets? Are you ready to bug out with them? Food, medicine, toys, leash or carrier? What happens if you have to spend several days out of your house? At a shelter, or a hotel? Do you have maps to key locations printed out? Have you taken a road trip to each location and looked at alternate routes to get to them if the primary roads are blocked? We all know that the DC area cannot do an evacuation. So if we are evacuated, do you know where you will go? What route will you take? What alternate routes are there? These are only some of the questions we can ponder as we continue to monitor the course of Irma. And even if she does not impact us, we will have some impact unless it completely passes the continent by, and the current models do not show that happening. Let’s take a moment to review our own preparedness and the preparedness of the Cadre. We will keep you posted as the path of Irma becomes more predictable. Additional resources: Emergency Preparedness for Landlords and Homeowners. 1. We have formed a club with a constitution, bylaws, officers, dues and whatever. We meet the the third Tuesday of every month except December (7:00 pm, Garden Room, Marsh Mansion — three story white building 1 1/2 miles inside the gate). We just received our club call — WA4HH. 2. 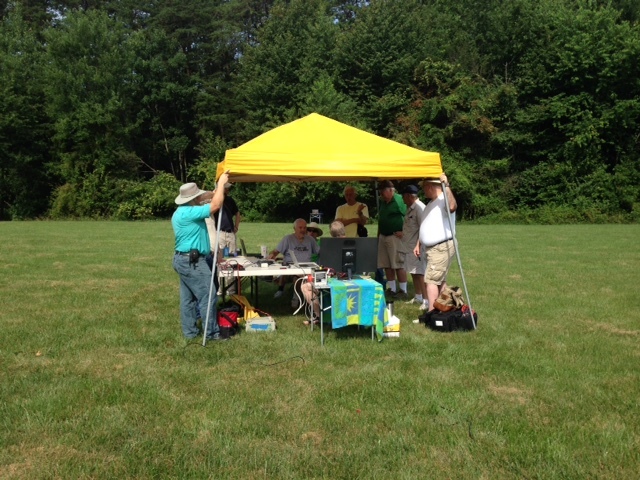 We continue to run a 2 meter simplex net every Saturday morning at 9:00 am, 146.475. We are using the new club call for running the net. I am usually the net control guy. Steve, KI4SA, is my substitute and also the club president. 3. We have added quite a few new hams to our roster. Not all are formal members of the new club but we are working on them. A copy of the roster is attached. It may surprise you to know that we have 32 hams on the roster, four of them live near but not in Heritage Hunt. 4. We will be participating in Field Day(our second time). It will be in the same location. You and anyone else that is part of your group are invited. We will be running 3 HF stations and possibly a 2 meter SSB station. We had great fun last year. 5. Last November we participated with the Emergency Preparedness Committee in running an exercise. We used digital over 2 meter simplex for the first time. Some of our operators were using digital for the first time. Although there were a few small bumps in the road, we were pleased with the result. The committee was happy enough that they just purchased four SignaLink interfaces to go with our FT-8800 radios. My thinking has always been that any of your ARES hams in an emergency could use any of our radios and feel right at home. We will be running another exercise in the fall but no date has been set. 6. Although it is a small challenge to get our hams to venture outside the gate, please feel free to call on us if you are short on hams to support an event. Keep in mind that you are always welcome to come our way for an ARES training event. Give us some advance notice so we can reserve a room. That is about all the news that is fit to print. Thank you for all you do for this community and for the county. On Saturday, January 21, 2017, PWCARES had their monthly training. You can review the presentation slides and the workshop slides on Go-Kits if you missed the meeting or just need a refresher. Next up, MCM Crossroads 17.75 in the Prince William Forest Park on Saturday, March 25, 2017. Details coming soon. 2016 has come and gone. It was a busy year for hurricanes, wild fires, and tornados, many of which had the good sense to stay out of the county. Sadly, Mother Nature felt we needed more practice with snow preparations and decided that a couple of feet would be a good place to start. As we know it only takes a few inches to throw the region into a tizzy, and a couple of feet immobilized us for several days. Around the world, they not only had to deal with unusual weather, but man-made attacks as well. 2017 has arrived. We can hope that the winter of 2016 is not repeated. And we can hope that Mother Nature takes a break. But we must always be vigilant. As we enter 2017, we should take stock of our gear and review our plans. At the very least, take a look at your go-kit. Clothes tend to shrink when they are not worn regularly, and sunscreen does age out over time. I have already updated the training plan for 2017. If you have not already got the big four under your belt (IS–700, IS–800, IS–100, IS–200), please take a moment to do so. If you have not already sent me your certification for passing, please do so as well so I have a record. I will be working through making additions and subtractions on the site as I get time. I have already added the new DHS widget that alerts us to updates and bulletins. I will also be trying to convert the quick reference guide into something you can put on your mobile device in ebook format, as well as something you can print out and carry in your go-kit. We have several AEC positions open. If you would like to volunteer, please drop me a note. I am also looking for someone who can attend the monthly Emergency Manager’s meeting for me as I will not be able to attend as regularly as I have in the past. 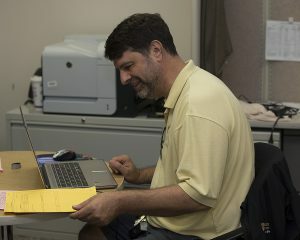 Our friend, Pat Collins has retired from Emergency Management so there will likely be some small changes to the way Emergency Management is run in Prince William County. As I know more, I will let you know. At this point there is a search on for Pat’s replacement and I am sure they will find the best person for the job. Our next meeting is Saturday, January 21, 2017 at 0900 at the EOC. As we normally do at the first meeting we will review the year past, look at the year to come, review the action plan, and update photos and contact information. We will also have a go-kit show and tell. There are a number of really good ideas out there and the cold winter months are a good opportunity to make modifications and ponder what others are doing. If you would like to write an article for the Cadre, please let me know and I will be happy to give you a by-line. If you have pictures, please drop them my way so I can include them in the updates. And I will try to do better at posting in 2017 as well. May you all have a wonderful 2017! 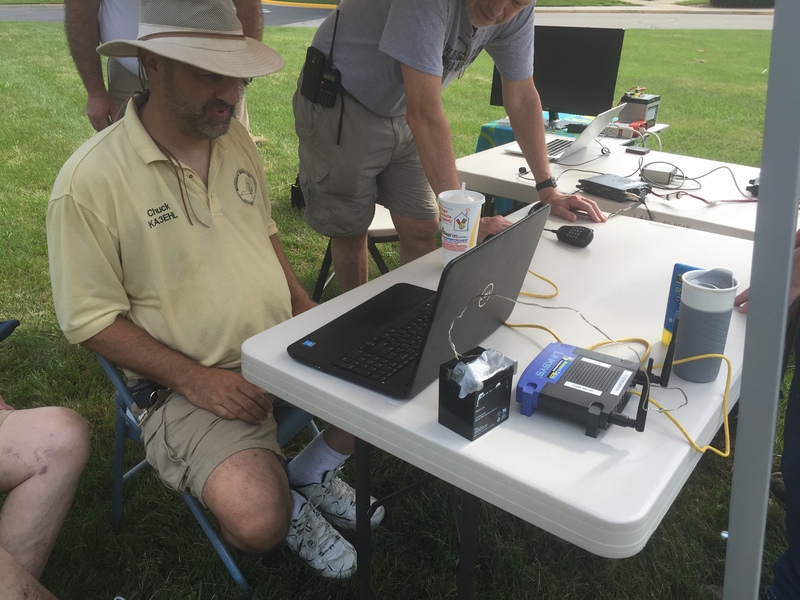 Chuck, KA3EHL, demonstrated how to remotely control a radio. The use case for this is in case we have to use HF, but we cannot run wires. For example, at the EOC, where the building has to remain secure. There are two parts to the system. The first part is the remote system, a laptop running Windows and the TeamViewer software. 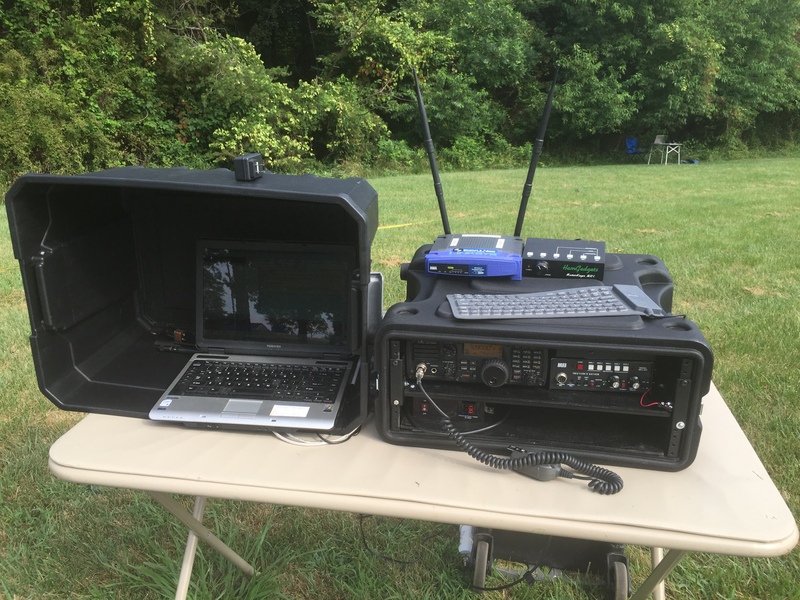 The second part is the host station, connected to the HF radio, running TeamViewer software, and additional digtial software and radio control softwere. Chuck’s radio, an IC–7200, comes with control software, but you could easily use FLRIG if your radio supports it. Chuck demonstrated sending a message with FLDigi, set to the Olivia transmission protocol. This is possible by setting up a BBHN mesh network. TeamViewer needs a network connection, whether that connection is a Local Area Network (LAN), an Internet connection or a BBHN mesh connection. Chuck had flashed two Linksys routers with the BBHN software and connected each laptop to the router. Each router was powered by its own battery, but could be powered by commercial mains if available. He then sent a message which was received and responded to by Larry, K0LB, and was also seen at Tom, W4PIO’s station on the other end of the field. Chuck’s full presentation is posted to the PWCARES website in Operating Procedures. The second part of the exercise was the sending and receiving of messages using FLDigi. This exercise utilized the standard setup for FLDigi in a VHF environment. 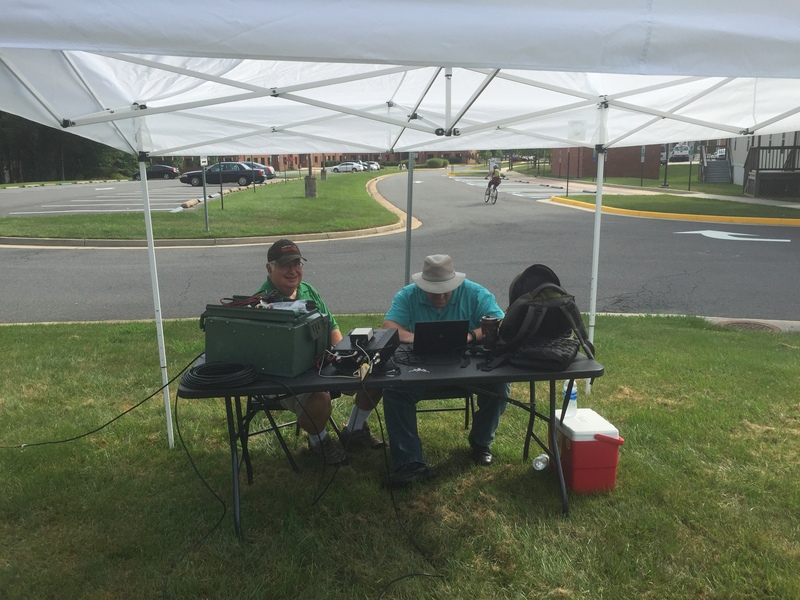 We had a couple of team members operating from their home station as well as some in the field. There was a combination of radios and laptops and as we have discovered in the past, just bcause it worked yesterday, it may not work today. Each problem was worked through as it came up, and some problems will require a bit more research. Thanks to those who came out and those who partcipated from home.